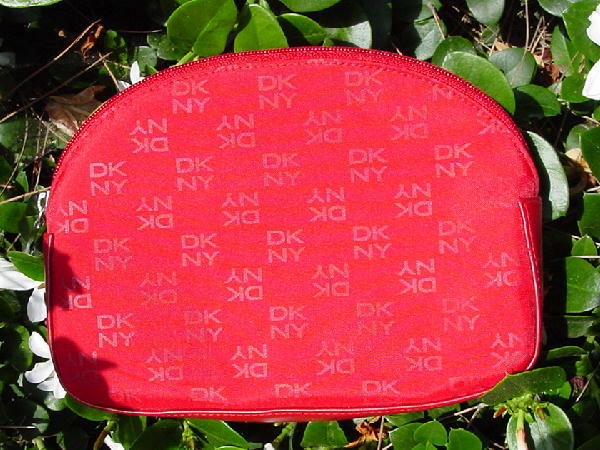 This red fabric clutch has the DKNY logo (DK above NY) all over the clutch. The logo is in alternating rows that are right side up and upside down. There is a top side zipper with a silver-tone logo pull. 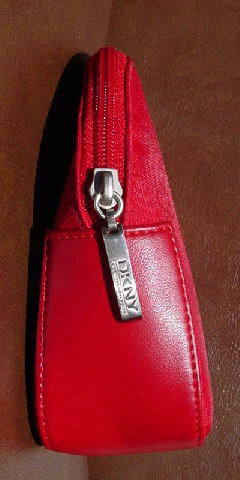 It has a red vinyl 2" wide panel which starts under the zipper and goes along the bottom to the other end of the zipper. The interior is lined in red fabric and has a black logo tag. It's from a stylist's inventory, and was used as a prop.